Three employees of Arch Nexus are being recognized for their artistic talents. 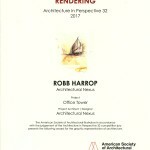 Robb Harrop, Charles Bagley and Keyan Hansen all received awards from the American Society of Architectural Illustrators for their illustrative works. 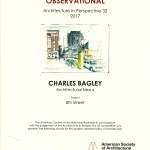 Their art will be featured in an annual book of the best architectural illustrations of 2017 and will be included in a touring exhibit for the next year. 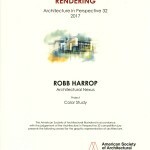 Pre-orders for the books are available now at the ASAI website. Facility Manager Magazine’s latest issue highlights sustainable design in the arts. 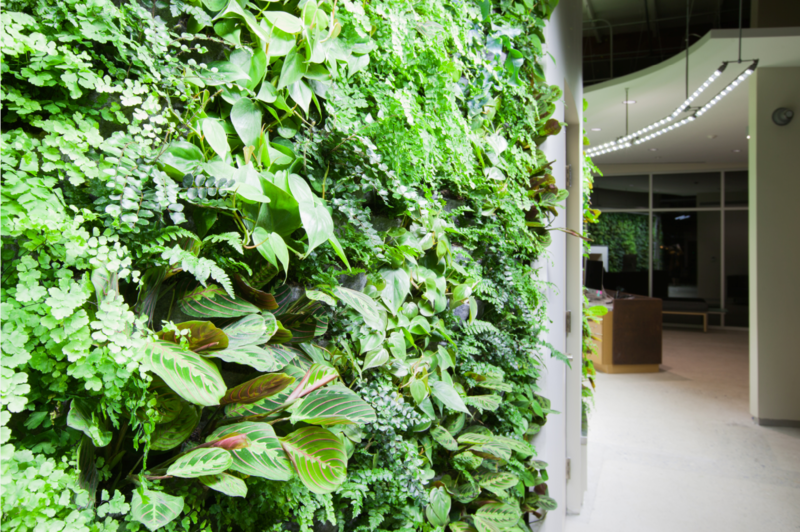 Written by Arch Nexus Principal, Jeff Davis; Breathe Life into Sustainable Design, takes readers on a journey of understanding what the Living Building Challenge is, how it works, and it’s relation to venues of the performing arts. From the article: You may feel like something as ambitious as a regenerative building that creates its own ecosystem is just beyond your reach… you can start today through existing building energy assessments and occupant engagement, or through choosing to take part in a petal certification such as Net Zero Energy. These are feasible goals and will save dollars from your operating budgets. 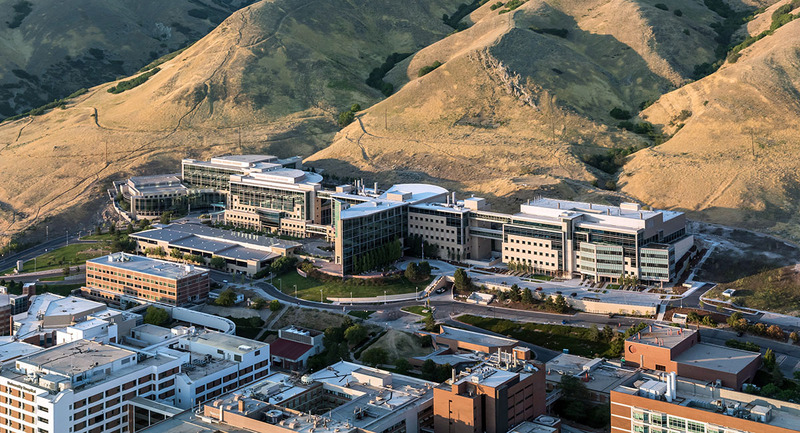 Along the east bench of Salt Lake City, stands a world class research and treatment center; The Huntsman Cancer Institute. 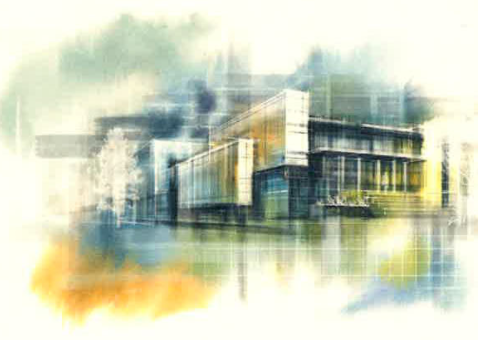 All four phases of the nearly 900,000 square foot campus were designed by Architectural Nexus. A recent article in Utah Construction and Design Magazine provides a fascinating history and details of the expansive project. In 1993 Jon Huntsman Sr. and his wife visited major cancer centers across the world with the intent of adopting the best qualities of each. Designers worked in step with research scientists to ensure open and flexible laboratory spaces that are able to quickly adapt to future research initiatives. “If you look at this new phase, it’s all about open space that brings researchers together, it gives them a place to collaborate” said Brad Busath, a Principal at Arch Nexus who specializes in laboratory design. “It’s an architectural masterpiece that really speaks to our values” said Mary Beckerle, CEO of HCI since 2006. Prominent Utah leaders from business, government, higher education, faith communities and civic organizations, united on November 14th, 2017 to sign a declaration acknowledging shared responsibility for protecting Utah’s economy, air quality and environment, and safeguarding against the risks of climate change. The gathering kicked off Path to Positive Utah, a collaborative initiative sponsored by Utah Clean Energy and ecoAmerica, that represents a diverse group of leaders seeking to understand, prepare for and raise awareness about climate change risks and solutions. Local notables who signed the declaration include Salt Lake City Mayor Jackie Biskupski, Salt Lake County Mayor Ben McAdams and Episcopal Diocese of Utah Bishop Scott Hayashi. Forty leaders have already signed the declaration, including Architectural Nexus President, Kenner Kingston. 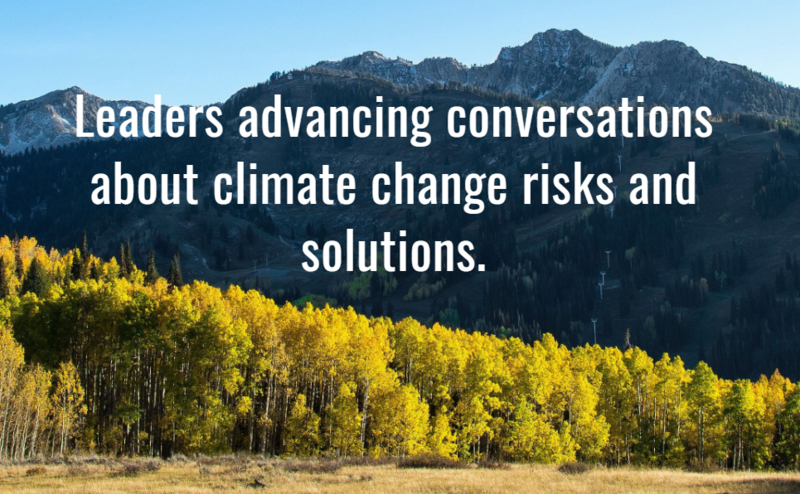 The declaration is open to all Utah leaders interested in harnessing their leadership to advance conversations about and solutions to climate change. Path to Positive Utah will empower leaders through educational materials, trainings and seminars, and will help share participating organizations’ successes. For more information visit www.pathtopositiveutah.org. Salt Lake County is currently hosting its tenth annual Watershed Symposium. The two day conference engages the public and stakeholders in issues related to watershed health. Architectural Nexus President, Kenner Kingston, presented at this year’s event: Using Living Buildings to Achieve a Sustainable Water Future. Kingston, along with Nick Schou, of the Utah Rivers Council and Kevin Emerson, of Utah Clean Energy, made a compelling case for the value of Living Buildings in Utah. 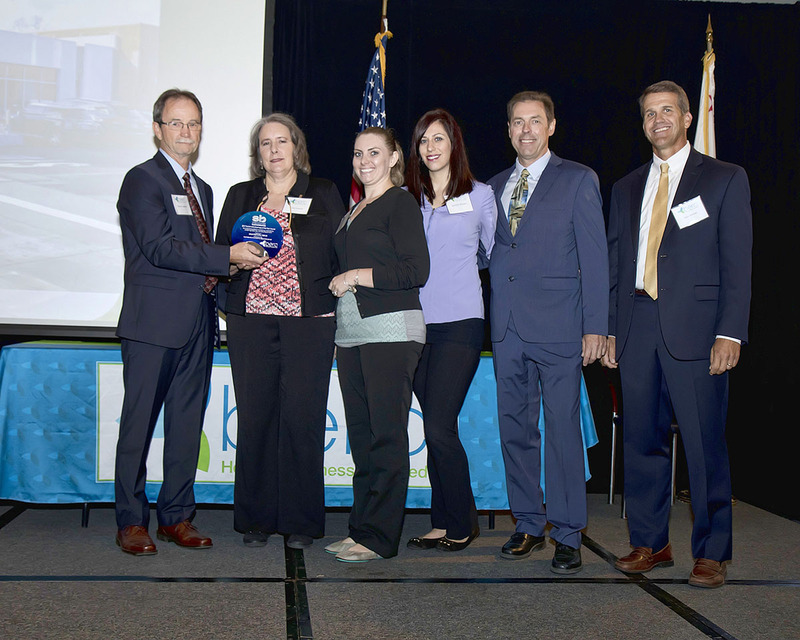 ARCH | NEXUS SAC , News: Arch | Nexus Wins ENR California Best Green Project! Our Sacramento Office building, Arch | Nexus SAC has been honored by ENR California as the best Green Project for 2017! Features considered by the awards committee include net positive energy, water re-use, building re-use, healthy materials and revitalization of the neighborhood. Our Sacramento Office building, Arch | Nexus SAC has been honored by ENR California as the best Green Project for 2017! Features considered by the awards committee include net positive energy, water re-use, building re-use, healthy materials and revitalization of the neighborhood. To read more about the project and this regional award, head over to ENR.com. Arch|Nexus SAC made it on the map of Sacramento Area Sustainable Business by winning a BERC Award. 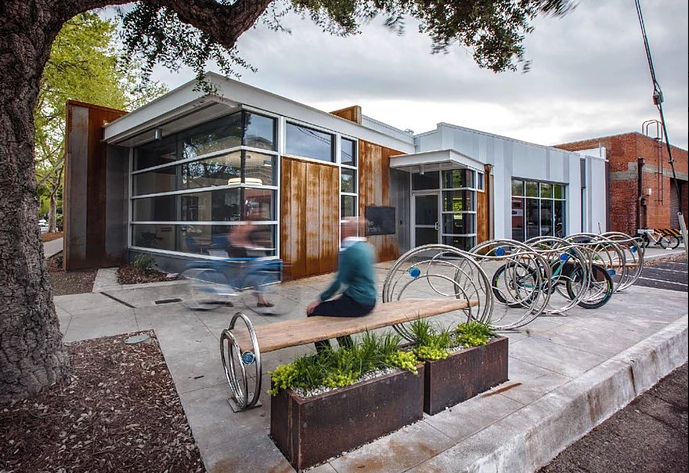 The Business Environmental Resource Center recognized Arch|Nexus SAC with the Green Building Award of 2017. The BERC program helps businesses to develop a positive relationship with its staff, who provide regulatory, pollution prevention and resource conservation expertise. The Business Environmental Resource Center also encourages the public to choose Certified Sustainable businesses. Learn more about the program here. Nearly half of all the energy consumed in America is through buildings. There is something that you can do about this. In honer of National Energy Efficiency Day, take a home inventory of discretionary electric devices to find areas of potential waste and opportunities for conservation. Take 5 minutes to identify where you use electricity in your home and which items you have discretionary control of. Number of DVD players, DVR recorders, stereo systems, game consoles, etc. Also identify if you have a programmable or smart thermostat and if it is programmed to raise air conditioning temperature settings or lower heat settings during times when no one is home. Remember, knowledge is power. Taking the time to identify sources of electricity consumption in your home and discussing simple behavioral changes that can help you eliminate waste will put you on the path to saving money and setting an example for your friends and family about the importance of reducing electricity waste. The 2017 North American Passive House Network Conference will be held in Oakland, California this week. 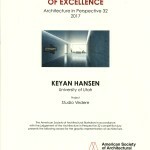 Arch Nexus president Kenner Kingston will be a panelist for two of the sessions. On Saturday, October 7th, Kingston will participate in conjunction with Brad Liljequist, of the International Living Future Institute. They will delve deep into the water petal of the of the Living Building Challenge and discuss details of the Arch|Nexus SAC location. Kingston will then again be on a panel in the second Saturday session, discussing how the ILFI materials reduces toxicity in projects, specifically the Arch|Nexus Sac location. For more information click here.